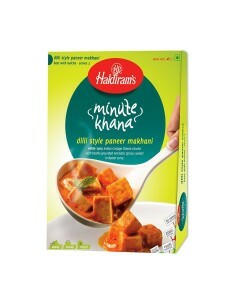 As a food company with a chain of popular eateries in the city we know what pleases the Indian palate. And that is what makes our ready to eats so popular. A basic Indian meal usually consists of rice and a helping of lentils or vegetables. Our complete meal range offers plain or light garnished rice with hearty and immensely Popular dishes such as rajma, dal tadka, mutter paneer and kadhi pakoda. All one has to do is heat a pack and have a complete meal that lacks neither in taste nor nutrition. Indian cottage Cheese chunks with freshly grounded Aromatic spices cooked in mildly spicy Rice Butter curry. Contains Milk and Nut components. Whole chick peas with green Chillies and Aromatic spices cooked in a tangy Tomato curry. Contains Milk components. Indian cottage Cheese chunks with freshly grounded aromatic spices cooked in mildly spicy Butter curry. Contains Milk and Nut components.